New projects and initiatives at CIMSEC. A New Administration, A New Maritime Strategy? The incoming Trump administration has called for a 350-ship navy as one of its core defense goals. This number is a good start for adding capability to the U.S. Navy after nearly two decades of force structure reductions. The call for 350 ships, however, is not enough. 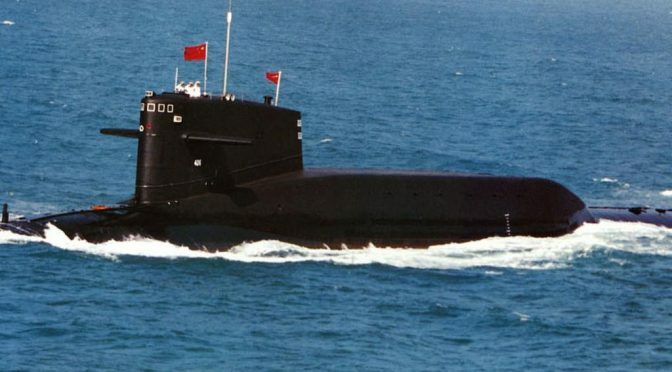 Such a call must be supported by a new global maritime strategy that draws inspiration from the 1980s Maritime Strategy created to oppose the Soviet Union on a global maritime battlespace. Any ship count by itself is prone to criticism on the grounds of cost or capability. The 1980s Maritime Strategy offers an example on how to intertwine strategy and necessary fleet strength in order to achieve a desired capability that supports national military strategy. The incoming Trump administration should follow the 1980s blueprint in its quest for a U.S. Navy capable of meeting present and future threats. U.S. Naval strategy since 1991 has in effect been the management of desired and financially supportable force structure over time. In June 1990, incoming Chief of Naval Operations Admiral Frank Kelso famously put the 1980s Maritime Strategy “on the shelf” and in response to a question on naval strategy from Senator John McCain replied, “I think we need an enemy in order to have a strategy.” The collapse of the Soviet Union in 1991 left the U.S. without a significant naval opponent around which to build a global strategy. The case in 2016 is very different. The Secretary of Defense and the Chairman of the Joint Chiefs of Staff now say the U.S. faces “4+1” potential opponents (China, Russia, Iran, North Korea, and violent extremism) a threat lineup unequaled since the early days of the Cold War. Admiral Kelso’s requirement for an enemy in order to require a strategy seems to have been met. Calling for more ships alone in the absence of a defined strategy guiding their employment is not enough. 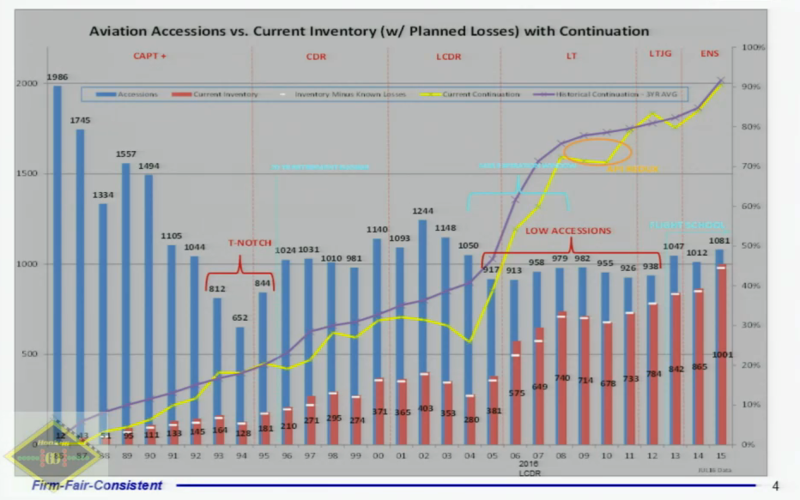 There were several fleet strength analyses done in the 1970s to determine the best fleet size that could be sustained within a given budget. CNOs Admiral James Holloway and Admiral Thomas Hayward, and Navy Secretary Graham Claytor and his deputy R. James Woolsey, analyzed fleets ranging in size from 400-1000 ships. The results of their work all tended to center around 580 ships. At the same time, Admiral Hayward was experimenting with new naval strategy concepts as the Pacific Fleet commander to take a global fight to the Soviet Union rather than just shepherd parts and supplies across the Atlantic in support of NATO; a mission the Navy described as hauling “ash and trash.” Neither concept — whether larger fleet size or new strategy –was likely to go far by itself. Any ship number was open to financial or capability criticism from analysts or members of Congress asking, “won’t 550 ships or 540 ships work just as well and at less cost than 580 vessels?” Likewise, new naval strategy concepts have been previously dismissed by Congressional budget analysts as not reflective of financial reality. The label of “not cost constrained” was enough to limit the influence of new strategic concepts to wargames and think tank discussions rather than actual application. Navy Secretary John Lehman famously combined these ideas: a global naval strategy and a specific number of ships at a reasonable cost required to achieve their purpose. Lehman’s June 1985 presentation to the House Seapower Subcommittee stated that the 600-ship navy had to be affordable as well as meet strategic requirements. Affordability was to be achieved through more competition among industry providers, more efficiency within the Navy Department, and decentralization of Defense bureaucracy as a means of achieving these goals. High technology should be exploited, but not at the expense of what Lehman called, “Research and Development Rainbows” that created a situation where, “perfect became the enemy of good enough.” There was also an expectation that fleet operational tempo would be decreased. It is debatable whether the Maritime Strategy or the 600-ship goal would have done so well as separate entities. There were plenty of influential opponents to both including former CIA director and naval analyst Admiral Stansfield Turner, former Carter administration Undersecretary of Defense for Policy “Blowtorch” Bob Komer, and renowned University of Chicago political scientist John Mearsheimer. Despite the efforts of these individuals and others, the Maritime Strategy and the 600-ship navy endured until the collapse of the Soviet Union consigned both to the past in a post-Cold War era without a peer competitor. The holiday from history of the last 25 years is over and it is time to get back to the business of properly preparing for global great power competition. A Trump administration 350-ship navy could be part of the process by which the U.S. operates in the new, post-Cold War world. Numbers alone, however, are vulnerable to cuts by analysts seeking the lowest common denominator navy. Likewise, naval strategies without specific ship counts and powerful civilian and uniformed leaders to explain them to Congress also tend to run aground on the shoals of Congressional analyses offices. As naval historian CAPT Peter Haynes, USN (ret) has suggested, “A strategy without a resource plan isn’t one.” Congress does not always understand or support naval strategy, and instead talks in terms of platform numbers and line items. The legislature will, however, support a given number if good strategic arguments are leveled in its support. Any new ship count proposed by the incoming Trump administration must be accompanied by a strong, well-articulated global maritime strategy. CNOs have written such documents in the past. Admiral Kelso’s first foray into the post-Cold War era was entitled, “The Way Ahead,” a document co-authored with Marine Corps Commandant General Alfred Gray and endorsed by Navy Secretary H. Lawrence Garrett. It had a similar goal to Admiral Richardson’s guidance in that it exhorted its readers to, “maintain maritime superiority well into the 21st century,” and to accomplish this through, “our full range of skill and knowledge as practitioners of the art of naval warfare.” Finally, it suggested that, “The old excuse—‘Because that’s the way we’ve always done it’— no longer will do. We must work to shape and guide the forces of change in the direction that best serves the needs of our nation.” Clearly the “Design for Maintaining Maritime Superiority” and “The Way Ahead” both serve to inform the Navy that while the mission remains much the same, new challenges await and old methods of doing business may not work. The Navy must be able to adjust and do so boldly. 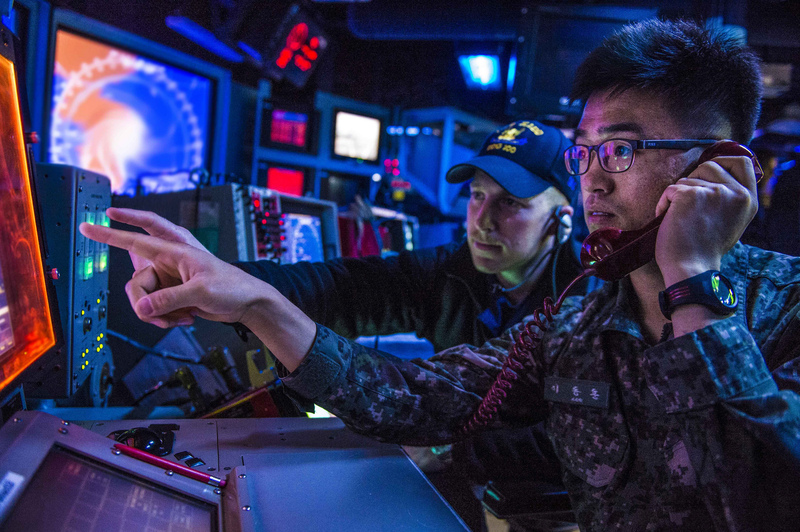 The current Navy “Cooperative Strategy for 21st Century Seapower”(CS21R) is a strong step toward a maritime strategy with operational warfighting components, a key element of the success of the 1980s Maritime Strategy. This document and its 2007 predecessor (CS21) both sought to describe the global commitment required by the U.S. to secure the global commons for safe and free trade. The 2015 version gave more detailed descriptions of force structure, specific forward locations required to achieve U.S. and Allied goals, and explicitly identified key competitors such as Russia and China. What is required now is “the next step.” This new document should be a global maritime strategy that in the words of former U.S. Naval War College Dean of Naval Warfare CAPT Robert C “Barney” Rubel, USN (ret) would serve as “A contingent warfighting doctrine,” that proposes how the U.S. Navy will combat the “4+1” cohort of current and potential opponents across a global battle space.” The 1980s Maritime Strategy performed this role and laid out specific strategic and operational goals for U.S. Navy, Joint, and Allied forces in a global war against the Soviet Union, and all the phases of conflict leading to that eventuality. The Maritime Strategy cited national military strategy, regional command war plans, and specific Presidential national security directives as its core principles. It cited specific geographic objectives, Allied strategy, and specific war aims across the full spectrum of potential conflict with the Soviet Union. Later versions of the Maritime Strategy included contingency plans for operations against regional opponents that might not be mere Soviet surrogates. 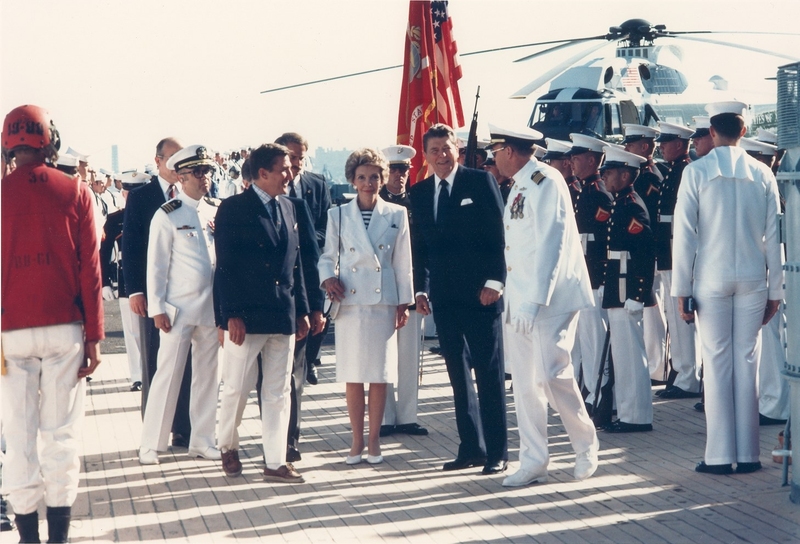 The level of detail within the 1980s Maritime Strategy crystalized the role of naval forces within the joint force, justified naval power within higher-level national security guidance, provided clear and consistent operational goals to guide war planning, and was unabashedly offensive in taking the fight to the enemy. These specific traits should animate the next maritime strategy. Such a strategic undertaking will likely be more challenging in the present era. The 1980s Maritime Strategy was largely produced before the passage of the Goldwater Nichols Act of 1986 that decreed all U.S. military operations were to be “joint” in character. While the Maritime Strategy was joint in design and execution and its drafting team included members from the other services in the latter 1980s, it was the frequent target of interservice criticism that accused the Navy of “going it alone” in its plan to wage global war against the Soviets. A new maritime strategy must be a joint one, but the other services must also recognize the differences between the 1980s and the present. There are no longer any large U.S. ground force formations deployed on hostile borders needing resupply as in the 1980s. 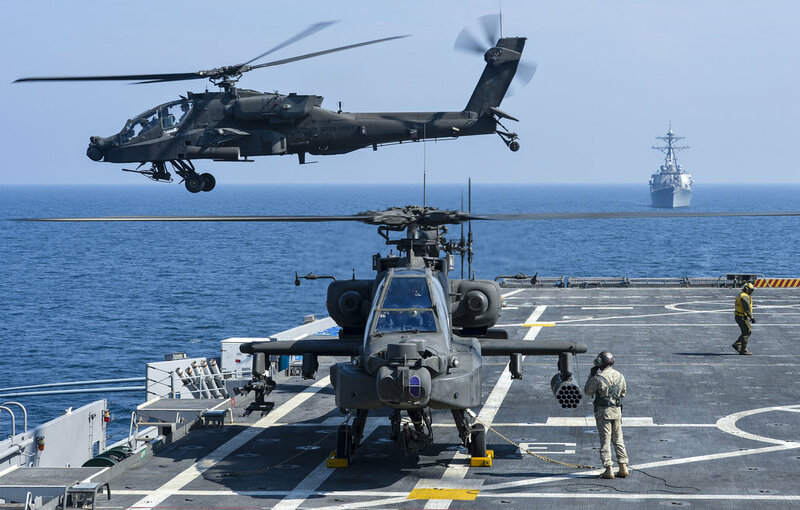 While the seat of purpose may be on land and Eisenhower may have once proclaimed the end of separate ground, sea and air warfare in the future, those paradigms may be shifting. The existence of predominantely maritime hotspots such as the South China Sea, the Strait of Hormuz, and the waters of Yemen warrants innovative thinking in employing the joint force with specific attention on incorporating ground forces in maritime conflict. Employment of U.S. ground forces is more likely to be part of a larger maritime operation as suggested by British strategist Sir Julian Corbett and more bluntly stated by British Foreign Secretary Sir Edward Grey who famously suggested that the British Army, “should be projectile to be fired by the Royal Navy.” PACOM commander Admiral Harry Harris has suggested the U.S. Army can support operations in the Pacific region by fielding land-based anti-ship missiles, a powerful capability that Russia and China already field in abundance and in forward locations. This image of U.S. Army coastal artillery “on steroids” would need to be balanced with larger national strategic needs that require an effective expeditionary ground warfare capability that includes both Army and Marine Corps units when needed. This changed vision of ground operations as auxiliary to war at sea must be considered in a new joint maritime strategy. Today’s opponents are a more diverse and capable group requiring an allied vice just a U.S. response. A 21st century maritime strategy would no doubt be a more complex document than its 1980s-era predecessor. The 1980s strategy dealt essentially with one opponent (the Soviet Union), while its 21st century cousin would have to assess multiple combinations of the 4+1 group across several different continuum of conflict. Different sets of active opponents would require differing desired outcomes and end states, as well as preparing for widely varying contingencies. The urgency of the threats posed by the U.S. 4+1 list of opponents might not also have the same urgency across allies and partners. Still, there is great potential for global maritime strategic action. The recent US/UK/Japanese Trilaterial Maritime Talks resulted in an agreement where these three maritime powers, “Recognized this opportunity to strengthen maritime contributions for achieving mutually desired strategic effects,” (emphasis added). The United States and the United Kingdom already share one of the closest military relationships of any two independent sovereign states, where only British officers may fly F-18 Super Hornet strike missions and the Royal Navy’s “Perisher” submarine training course is the only non-U.S. curriculum eligible for qualifying U.S. Navy submarine commanders. This relationship might further develop in terms of global strategic cooperation with Britain and perhaps France providing a rotational aircraft carrier presence in support of a global Allied maritime strategy. The UK’s Royal Navy has already made a step in this direction with the opening of HMS Juffair, a naval installation in the Kingdom of Bahrain that marks the return of British naval installations in the Middle East after an absence of four decades. No one state can effectively maintain the command of the commons necessary for free trade over maritime highways, and nothing will increase force structure faster than building meaningful operational relationships with allies. Maritime security was recognized as a global concern a decade ago in the U.S. 2007 Cooperative Maritime Strategy and general concepts like the “1000 ship navy” must evolve into operational and tactically competent formations. The Global Maritime Partnerships initiative focused on performing constabulary missions such as maritime security, counterpiracy, and drug interdiction with a broad set of partners irrespective of capability. While undoubtedly valuable, this line of effort was devised in a time when great power competition was not so marked and partnership with less capable navies would not come at the expense of conventional deterrence. The emphasis should now shift towards honing high-end warfighting capabilities by strengthening interoperability with treaty allies. This could be accomplished through more frequent and complex joint exercises, technology transfers, wargaming, and increasing the proportion of officers from allied nations in international resident programs. This push for greater interoperability will support the incoming administration’s intent to increase allied burden sharing while still demonstrating tangible American commitment to alliances. These cooperative steps cited here are hopefully the first of many leading to the return of unified Allied maritime commands such as the Cold War-era Supreme Allied Commander, Atlantic (SACLANT). Navy Secretary John Lehman described strategy as, “The logical set of allocations and priorities that guide how the Navy Department spends its money and trains its people.” Lehman and the maritime strategy authors campaigned vigorously and effectively to further its goals and meet its requirements. Lehman published widely on the Maritime Strategy in print and defended it in media outlets. Uniformed officers took on critics and published extensive works on its genesis and evolution. These efforts continue into the present day long after Admiral Kelso retired the Maritime Strategy. A new document will likewise require an aggressive and comprehensive communications campaign across multiple formats including print, video, and digital outlets. It must educate a global audience and key decision makers on 21st century strategic geography, how naval power contributes to the national interest, and the need to protect the world-wide maritime trade routes that sustain not only U.S. but global economic prosperity and security. The leadership of the 1980s navy was fortunate in that much of the technological advancement needed for the 600-ship navy such as the AEGIS system had been completed in the previous decade. Most of the 600-ship navy building programs had commenced before the passage of the Goldwater Nichols Act of 1986, enabling the service to have greater control and less bureaucratic interference in its overall maritime design. Recent defense reform efforts have identified excessive bureaucracy as an impediment to cost effective military platforms. An expansion of the fleet today will be more challenging in that many fields of technological advance are still struggling toward maturity. The naval service has been somewhat neglected over the last 25 years in terms of maintenance and operational costs. Assessments such as the Balisle report of 2010 and more recent examinations suggest the situation may not immediately improve. In addition, many new technologies and concepts such as electric drives, modular systems, greater automation and smaller crews remain operationally immature to a degree. Other emerging systems such as directed energy weapons and railguns are on the cusp of operational capability, but will require more funding and testing in order to join the fleet’s future arsenal. A new Maritime Strategy and associated force will need to navigate a series of choices from among these capabilities and decide which are “R&D rainbows” not worth producing, and which can become operational parts of the strategy-supporting force structure. The Navy is perhaps now better prepared to create a new maritime strategy than at any point since 1992 due to Admiral Richardson’s recent reorganization of the OPNAV staff. It is also better prepared to resist critics than its predecessor. The Navy Staff (OPNAV’s) new N50 Strategy Division combines the strategy experts of the N3/N5 Deputy CNO’s office with analysts from the N81 assessments divison. This union of disciplines should result in geography and international relations forming the foundation of a naval strategy that is also within the nation’s financial means to execute over time. One of the most persistent claims leveled against the 1980s Maritime Strategy was that it was not “cost constrained” and assumed that a large and complex naval force could be sustained with limited funding. The Strategy and Assessments divisions of the OPNAV staff have been arguing this point for nearly half a century. Strategists argue for the importance of geography, history, and international relations as primary determinents for the development of successful naval policy. Their preferred force structures such as the 600-ship Navy of the 1980s respond directly to threat assessments and the geographic conditions that shape them. The analysis community often responds by suggesting that national resources do not support what the strategists wish to accomplish. They have advocated a policy of force structure and capability management over time as the best means of achieving a force that spends only what is absolutely required to achieve those goals. The 30-year shipbuilding plan is a product of this effort. The combined strategist/analyst composition of the newly formed N50 Strategy Division will serve as an excellent vehicle for wedding a new strategy to a new ship count and subsequently updated shipbuilding plan. The election of Donald J. Trump to the Presidency of the United States represents a break with past policies as did that of Ronald W. Reagan in 1980 and offers the Navy an opportunity to make a fresh argument for a global warfighting strategy. Past U.S. joint force constructs that emphasized ground forces over naval forces are not as relevant as they were during the Iraq and Afghanistan wars at their heights. 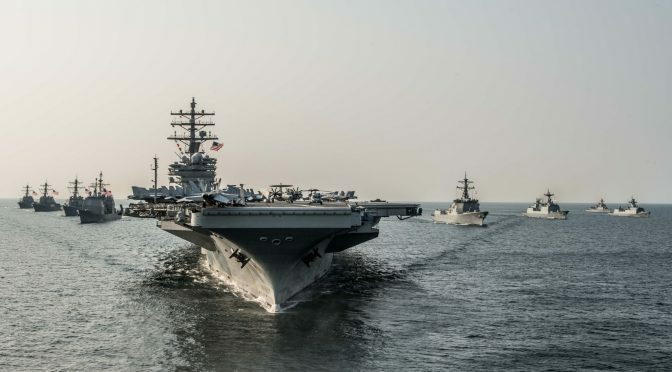 The present strategic situation suggests that the time is right for the U.S. Navy to come forward with a modern successor to the 1980s Maritime Strategy. The price tag for this endeavor will also have to be acceptable to the legislature and the public. The Navy must decide which of its emerging technologies and capabilities will be part of the strategy-supporting force and which will be cancelled or relegated to limited experimentation. The OPNAV staff is better organized now than in past decades to articulate and advance such a strategy. A 350-ship navy might be the right size to accomplish this goal, but it must have a strategy in close cooperation in order to convince Congress that 350 ships or even greater numbers are required. The incoming Trump administration should demand a global naval strategy to accompany its proposed increase in fleet strength in order to achieve its goal of a superior U.S. Navy. Chief of Naval Operations Admiral John Richardson frequently talks about High Velocity Learning (HVL) and Innovation. 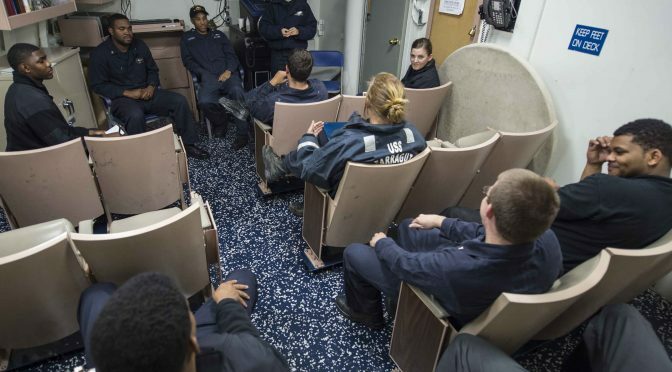 You can tell his focus on this topic is working thanks to one clear litmus test: eye rolls and mocking from some of the Fleet’s junior officers. The CNO has spread the gospel so well on this topic that is has become a buzzword throughout wardrooms and squadrons around the world, and now “Innovation” has achieved just enough notoriety to be misunderstood. The eye-rollers are often resistant to change, cling to the status quo, and most importantly have an ahistorical perception of innovation within the naval service. What they don’t quite comprehend is that innovation is nothing new. Commander BJ Armstrong enumerated the proof of our rich innovation history in consecutive years at the Defense Entrepreneurs Forum, first in 2013 with his lecture on Admiral William Sims that led to the book 21st Century Sims, and then followed by a look at Marine Corps’ forward-thinking embrace of the helicopter in the post-WWII era. We have innovated before, and we will innovate again. But the CNO makes the case that the quadrupling of worldwide maritime traffic in the last several decades, combined with the free and fast flow of technology and information, creates an innovation and learning imperative like we have never seen. Our maritime superiority, our relevance, and potentially even our Sailors’ survival all depend on it. It can be a daunting task for an operational leader to lead innovation efforts in the context of the worldwide rise of near-peer adversaries and vague direction from the Pentagon to learn, rapidly iterate, and embrace risk. Where can you even start? Using the old mantra, “Think Globally but Act Locally,” I decided to tackle something that everyone in our squadron, officer and enlisted alike, always unite to grumble about: meetings. You know them–they pepper the plan of the week like the last pieces of candy in a box of chocolate that no one wants to eat; they draw scowls of dread when you see another two, three, or four in your future. They all start the same with a PowerPoint slide deck, introductions, rules of engagement for the presentation itself, proposed courses of action, “quad slides,” and graphs with labels so small you have no idea what is going on. Figure 1: An actual PowerPoint slide from a Bureau of Naval Personnel briefing at Tailhook 2016 that a Captain attempted to explain to the crowd. Several months ago I heard about a best practice from the civilian industry that caught my attention: the “flipped meeting” utilized at Amazon by billionaire innovator Jeff Bezos. Could the Amazon model work at a Naval Aviation squadron? Would the time continuum explode if officers filed in to the wardroom and didn’t see a standardized PowerPoint screen projected on the wall? I walked to OPS, asked for a meeting to be put on the schedule, and decided to find out. 1. Define the problem: Too many meetings in our squadron are dependent on low-learning-level presentations, and almost all exclusively use Power Point. 2. Postulate a solution – and what you think its effects will be: There are countless solutions in other organizations and the corporate world on how to increase learning and co-working levels in meetings. One specific solution is the Amazon flipped meeting, which I guessed would increase learning levels at my squadron. 3. Try out a solution: We did! 4. Do a gap analysis between what you saw happen and what you thought would happen. 5. Update your approach/solution and run it again. So instead of building PowerPoint slides and sweating font consistency, proper margins, bullet styles or punctuation uses, those privileged to brief Bezos focus on the ideas and content themselves. The genius of it is in the simplicity: the purpose of the meeting is to work together on the ideas or content, and the “flipped” meeting allows the ideas or content to be the focus, not the slide deck. The real magic happens before the meeting ever starts. It happens when the author is writing the memo. What makes this management trick work is how the medium of the written word forces the author of the memo to really think through what he or she wants to present. In having to write it all down, authors are forced to think out tough questions and formulate clear, persuasive replies, reasoning through the structure and logic in the process. The traditional kind of corporate meeting starts with a presentation. Somebody gets up in front of the room and presents with a PowerPoint presentation, some type of slide show. In our view you get very little information, you get bullet points. This is easy for the presenter, but difficult for the audience. And so instead, all of our meetings are structured around a 6 page narrative memo. 1. Silence is golden. How many times have you presented an issue, only to see several egos in the audience try to take over or derail the brief based on their own interests? Everyone reads the narrative in silence and the discussion comes after in the Bezos “Study Hall” model. 2. No read-ahead required. Bezos believes “the act of communal reading guarantees the group’s undivided attention.” Several times in my career, I have wondered if the person I was briefing had time to review the read-ahead, or if they were getting the message I was trying to convey during the PowerPoint. In a flipped meeting, the audience has no choice but to read the narrative (unless they want to daydream). 4. Ideas and content trump presentation polish. Sometimes, the best ideas come from those who are nervous or just-plain-bad public speakers. Other times, polished presenters with million-dollar-smiles can sell bad or incomplete concepts because they can manipulate the audience into what they want to hear. With the Amazon narrative, the content speaks for itself. 5. The meeting leader is a coworker, not lecturer. The concept of a “flipped classroom” revolutionized education, and Bezos is trying to do the same for the business world. Normally a presenter lectures the audience. An Amazon lecturer is no longer verbally “pushing” communication to the audience; instead the content is “pushed” through the narrative, and then readers can “pull” knowledge from the presenter with informed questions. This creates high rates of learning compared to the traditional model. It seems that a flipped meeting is effective based on Amazon’s stock price and global reach. But could such a meeting work outside the confines of Silicon Valley boardrooms? Would a bunch of flight-suit wearing naval aircrew be receptive to something so far from the norm? My unsuspecting teammates filtered in and took seats at the conference table. I hadn’t posted “Amazon-Style Flipped Meeting” on the flight schedule because I thought it might create some sort of bias or discourage full attendance. I simply listed the topic: “Squadron Innovation Culture Workshop.” This subject especially lent itself to a flipped meeting because it was difficult to summarize our squadron’s innovation culture in a deck of PowerPoint slides. The junior officers filled the dead space before the kick off with the usual banter and jokes. I noticed several check the clock and glance toward the powered-down and blank presentation screen as I passed out copies of the six-page narrative I’d spent the previous week perfecting. It was apparent that several were wondering why there was no laptop connected and no PowerPoint. I returned to the assembled group and quickly explained the flipped meeting, the “study hall” reading and the 20 minutes of silence. Everyone nodded in agreement and began. The most awkward part for me was the wait. In this context, 20 minutes felt like an eternity. I already knew the narrative well as the organizer and author. I read through it again while I scanned the faces of my coworkers as they made notes or flipped pages. I found a couple of punctuation errors that I had missed. And then I waited. The most interesting thing was the late arrival of the last participant 10 minutes into the study hall. He was a bit confused to walk into a room of us all sitting there silently with no PowerPoint in sight. He then tried to catch up on reading the narrative. In the future to help all attendees get the highest rates of learning, I think it would be best to notify everyone in advance it will be a flipped meeting and that study hall will start on time. Next, I facilitated the discussion. At first people were hesitant to express their opinions, but after a few questions by some of the other forward-leaning members of our squadron, we were well on our way to a 40-minute co-working session. By the tail of the hour the discussion was going strong and we could have continued for another thirty minutes. We decided on a collective course of action to take on the meeting’s topic and agreed on another future meeting. The backlash against PowerPoint is well documented. This repository of articles compiled by Small Wars Journal counts more than twenty leading media or blog examinations of the detrimental effects of its use. Many leaders like the now-retired General Mattis either loathe it or outright ban it; others see it as a necessary evil. The most compelling defenses I’ve heard for military innovation do not involve completely new ideas or inventions. Instead they focus on finding creative best practices in sometimes-unexpected places that could be applied to military problems. Maybe “flipped meetings” won’t catch on to replace old methods completely, but they could become one tool for leaders to use when an occasional respite is needed from the groundhog-day-monotony of PowerPoint briefings. I would encourage other leaders to challenge the status quo in your unit’s meetings. These resources by Fred Zimmerman and Walter Chen can guide you to figure out how to best write your own flipped meeting narrative. There are myriad other ways to shake up a meeting, like using the “design thinking” approach or an organizational retreat made famous in Patrick Lencioni’s The Five Dysfunctions of a Team. The solution you use will depend heavily on the topic and purpose of the meeting. For example, it is difficult and counterproductive to attempt to give chart-centric “course rules” brief using thousands of written words when visual aids are most appropriate. Even if your first instinct is to use PowerPoint because of the visual nature of the topic, there are several alternative programs like Prezi or Haiku Deck that could bring extra engagement to your audience. The most important concept to remember is that PowerPoint is just a tool, not something good or bad. We need to focus as leaders on using whatever the appropriate tool is for the specific job, not simply revert to the familiar tool just because it is habitual or easy. So how did my flipped meeting experiment match up to what I thought would happen when I postulated the solution? I think it was worthwhile and I’m looking forward to doing it again. I wasn’t laughed out of the squadron or told by my bosses to go back to exclusively PowerPoint meetings. I saw the light in several of my coworkers’ eyes (despite some initial uncertainty) as they scribbled on parts of the narrative and debated sections they had pulled from it. We had an in-depth discussion about our innovation culture that could have been brought about with a PowerPoint brief instead of the “study hall,” but the discussion would have been less nuanced and with less time to collaborate. Usually presentations are designed for 45 minutes with 15 minutes of questions and discussion at the end. We invested 20 minutes up front during the flipped meeting to silently immerse in the topic, leaving us more than double the discussion and co-working time. The flipped meeting can’t be considered a complete success, though, until we are achieving high learning rates from our gatherings on a consistent basis, no matter what tool is used to get there. If I started a conversation or sparked an idea in the wardroom, it was worth it. 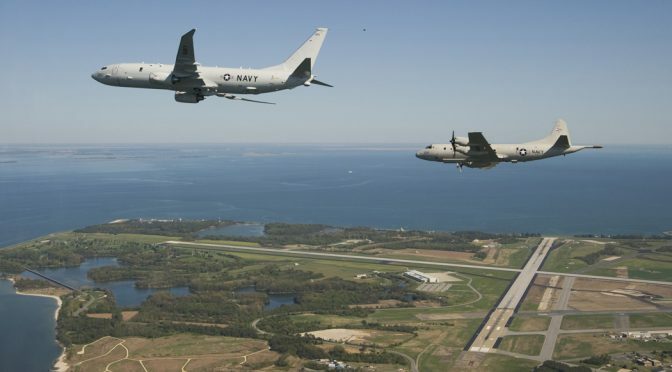 Jared Wilhelm is a U.S. Navy officer and Maritime Patrol Instructor Pilot with experience in four operational theaters flying the P-3C Orion. He is a passionate writer focused on innovation and meaningful reform, all to help maintain the U.S. military’s superiority over adversaries in the short and long term. He served in Argentina as an Olmsted Scholar from 2014-2016 and won the U.S. Naval Institute’s 2015 General Prize Essay Contest. He is a Department of Defense Spanish linguist who holds masters degrees from the U.S. Naval Postgraduate School (Systems Engineering and Analysis) and the U.S. Naval War College (National Security and Strategic Studies), as well as a B.S. in Systems Engineering from the U.S. Naval Academy. The opinions expressed are his alone and do not reflect the official position of any other entity or organization. Featured Image: U.S. Navy photo by Mass Communication Specialist 3rd Class Jackie Hart.